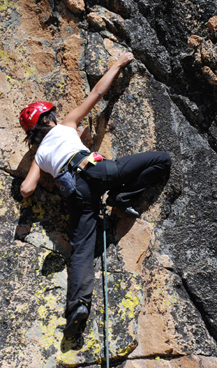 With a guiding staff equally experienced in working with both adults and student groups, Southern Yosemite Mountain Guides offers unparalleled programming options for schools, travel camps, families, and outdoor programs both in Yosemite National Park and in the Sierra National Forest. Our guides have the experience and the understanding to instruct students on technical skills, natural history, ecology, land sciences, interpersonal communication, and group dynamics. Our highly customizable itineraries and progressive menu planning allow SYMG to meet any school's needs, whether it is a 5-day backpack or a 3-day basecamp with hiking and rock-climbing. We also work with the some of the finest student adventure programs in the country, including Wanderers, Adventures Cross Country, the Boy Scouts of America, YMCA groups, Wilderness Ventures, Moondance Adventures, The World Outdoors, and Bold Earth.